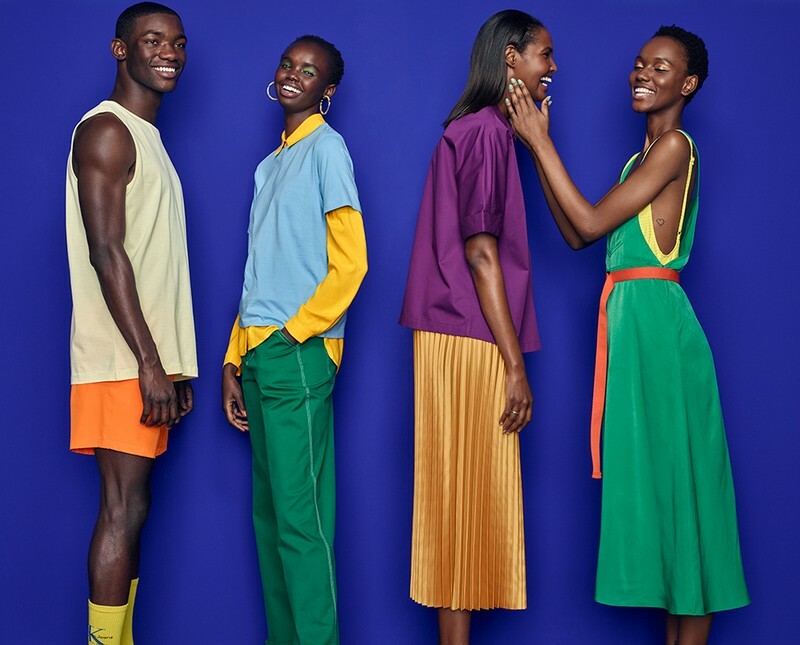 With the winter weather waning, we're ready to wave goodbye to our heavy coats and say hello to all the bold brights and pale pastels that signal summer is on its way. 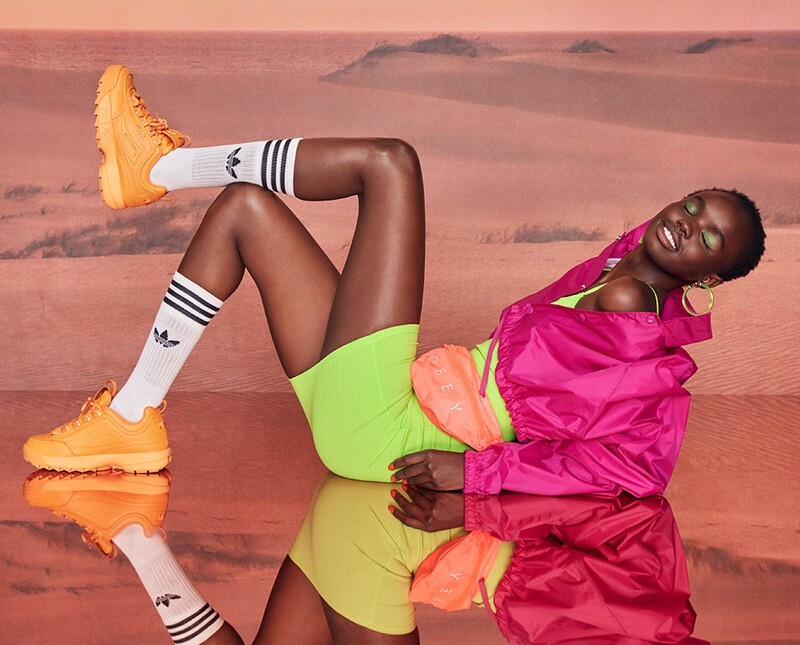 This new season is giving us infinite options on how to pair shades from all across the spectrum and make a major mood-lifting style statement. Get ready to block like the best as we explore this style trend that's raising our spirits as we transition into spring! 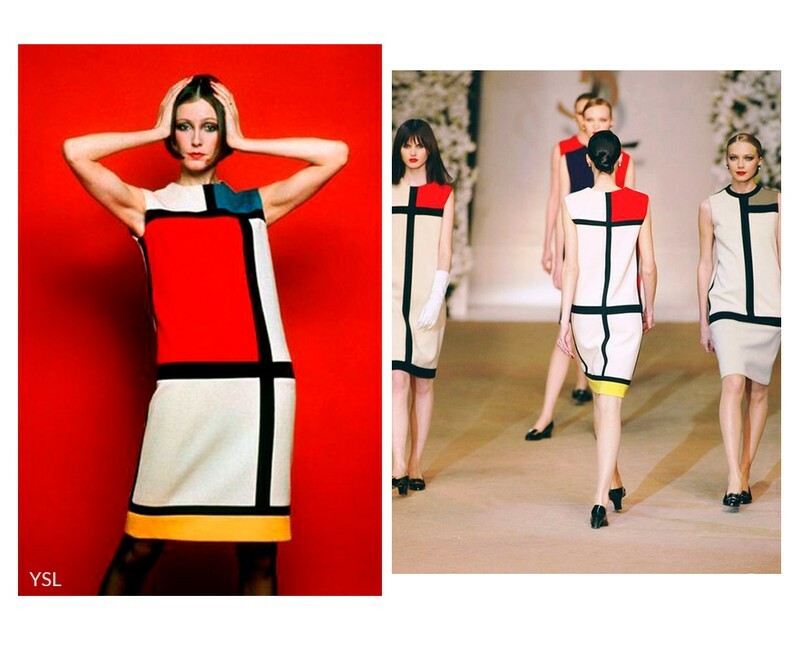 Many credit Yves St. Laurent and the Mondrian dresses he created for his Fall/Winter collection in 1965 as the beginning of blocking. Inspired by the artwork of Dutch contemporary artist Piet Mondrian, St. Laurent sent shift dresses featuring examples of Mondrian's block paintings sashaying down the runway. These cocktail dresses were avant-garde not only because they broke the boundary between the art gallery and the catwalk, but also because they demonstrated a new way of styling and combining colour that was guided by geometric shapes and lines. This innovative approach to mixing hues from multiple palettes gained momentum in the decades that followed. 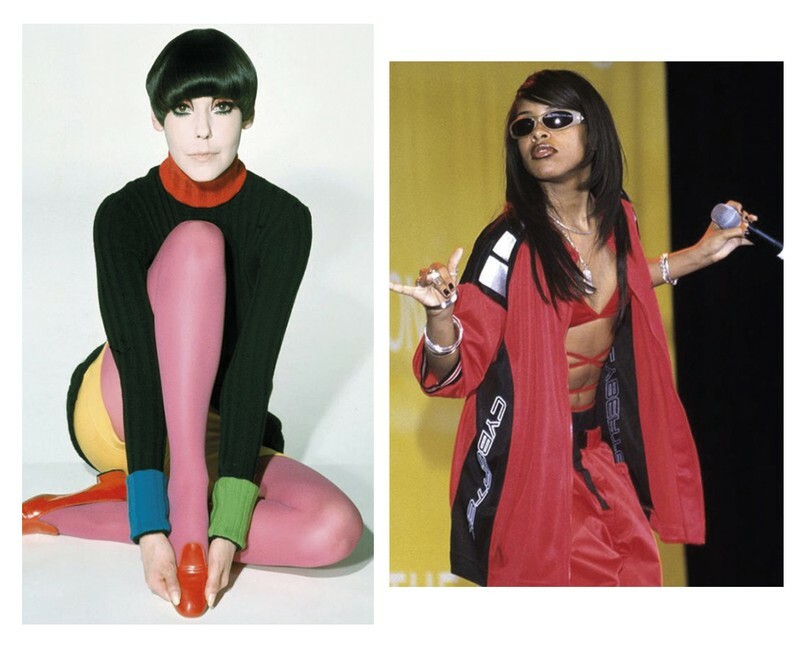 ‘60s Mods, ‘70s disco dancers, and hip-hop artists of the ‘80s and ‘90s all interpreted blocking in their own way, attracted by how easy this styling method makes it to make a statement. Make it a monochrome moment! Pick out pieces of the same colour, or in different tones of the same colour, and take them from head to toe. To add more depth to your look, load up on layers. Making unexpected styling choices, like slipping on skirts and dresses over wide-leg pants, is an easy way to add extra wow-factor to what you're wearing. Team individual pieces of different colours together. A quick review of the colour wheel will help you heaps when it comes to trying this type styling. Be bold and combine complementary shades that are opposite each other on the wheel, or work with analogous colours that sit side by side. of trying this trend out on your own? Get rid of the guesswork by picking out pieces that are already blocked. From there, all you need to do is enjoy their energy-filled impact. accessories are your answer. Choosing a shoe, belt, bag, or scarf that adds an extraordinary pop of colour to an ordinary outfit is the perfect way to dip your toe into this trend. 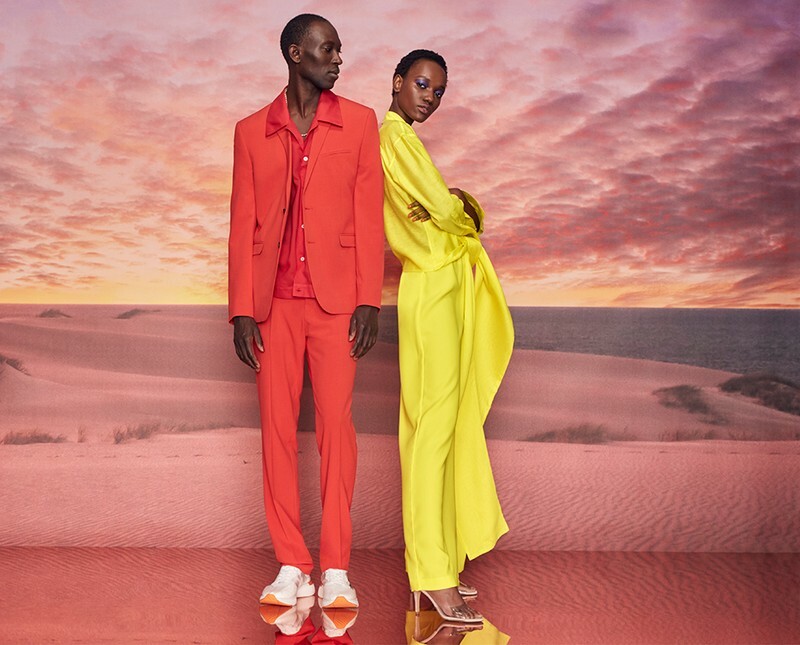 Similarly, Herieth Paul, a familiar face at Simons’ photography studio who returned to model our Icône collection for the shoot, explained that when she wears her favourite shade of electric blue during the day, it makes her feel “electric” too! Sometimes, how happy we feel sporting a certain colour is influenced by our associations with the shade. For example, Monywiir Deng Dharjang, our model for Djab, loves wearing blue as well because, being a huge soccer fan, he associates the colour with his favourite soccer club, Chelsea F.C. beige, white, cream, and grey for our clothing, once you experience the energizing effects of creating new colour combos, you might just get hooked. That's what happened to our Le 31 model, Armando Cabral, who revealed that he recently switched to sporting punchier pieces. “Before, I was a very grey-and-navy type of guy, but now I’m trying to infuse a little bit of colour in my day-to-day wardrobe,” he says. 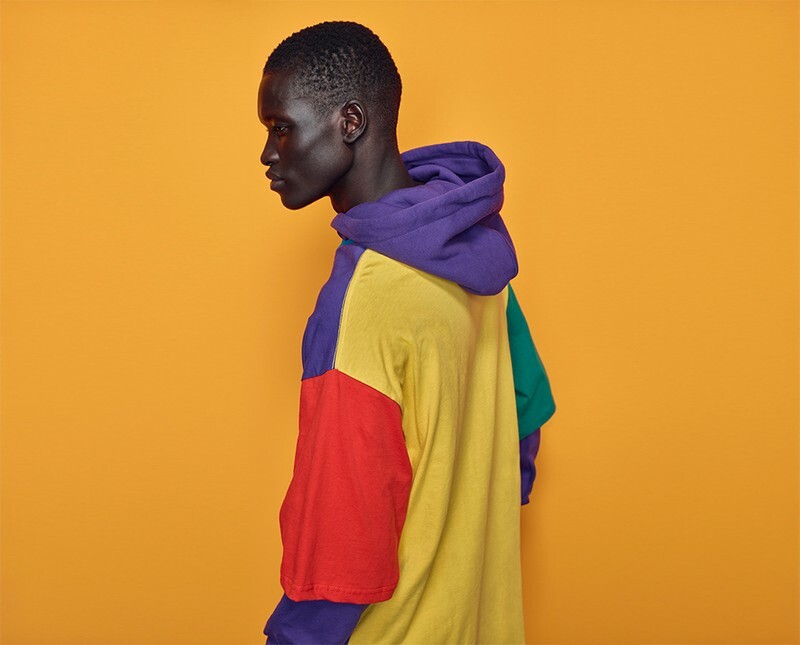 and Akiima, who posed in pieces from Twik, mentioned that after seeing the spectrum of shades for our spring shoot, they can't wait to make a few bold and bright additions to their closets. “I want my entire wardrobe to look like today,” says Ubah. “It just makes me so happy. It seems only fitting that many of the background images for our Infinite Hues photo shoot were of beautiful skyscapes. Why? 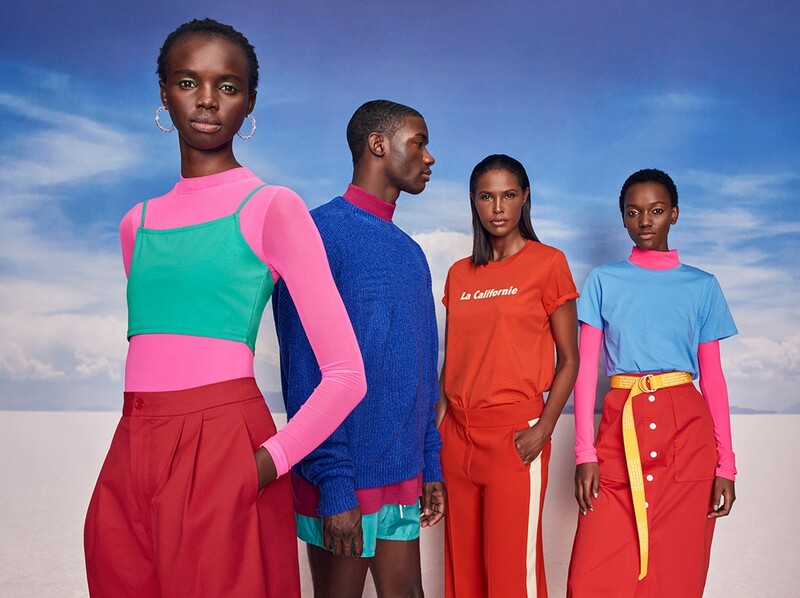 Because with the endless options for combining colours on clothing this season, the sky’s really the limit! Time to bring on those bolds and brights! Ready to try out the trend?